UAV Aerial Surveys. Caintech offer full Aerial Orthographic Imaging and 3D modelling using a state of the art Topcon Sirius Pro Unmanned Aerial Vehicle (UAV). With the ability to survey 200Ha+ in a single day, there is a substantial saving in both cost and time compared with traditional methods. The speed of data collection combined with short “on-site” times improves safety, particularly in hazardous areas. Vertical photography is combined with accurate GPS RTK positions to give topographical data. A Digital Elevation Model (DEM) and volumetric analysis can then be created back at the office. Datasets from both our multirotor UAVs and Topcon GLS2000 laser scanner can be combined with this to produce dimensionally accurate 3d models. The Sirius UAS maps large, complex areas with ease, thanks to its robustness, ease of use, and quality flight planning software. By pairing this system with intensive post-processing software, highly detailed and reliable 3D data models can be generated for any situation that may arise. 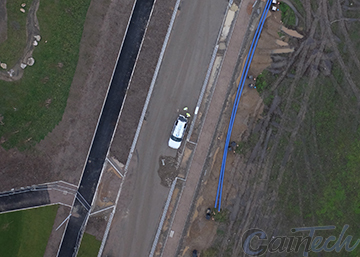 Caintech offer full feature extraction services from the UAV datasets, giving our clients the benefit of a product with a scalable deliverable, ranging from basic imaging right through to a traditional appearance topographical survey in the format that they have worked with previously. 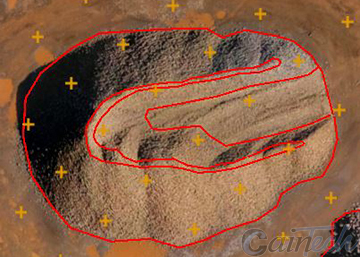 Volume calculations can be made on stock piles to give accurate data for your earthworks, saving time, money and with minimal disruption to your daily activities. Resolutions in the order of 2cm are quickly and accurately achieved to give clients the best survey possible and can be assured that any design decisions are being made based on the most accurate information available. 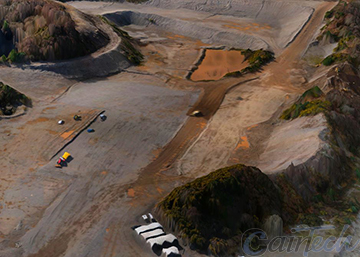 With a high resolution aerial view of an entire project, areas that may have been inaccessible are now visible, allowing accurate planning of the project. 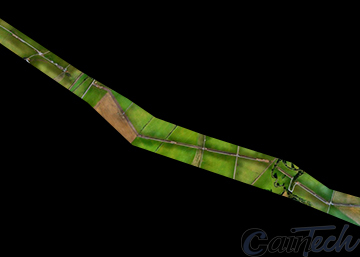 We are able to quickly and accurately survey utility corridors of any length. Several kilometres can easily be surveyed in a single day and multiple flights can be combined into a single model to provide the data for the full length of the project. A fly through of the model can be created allowing a quick overview of the entire project, allowing designers to plan efficiently and highlight any areas that may need additional work.